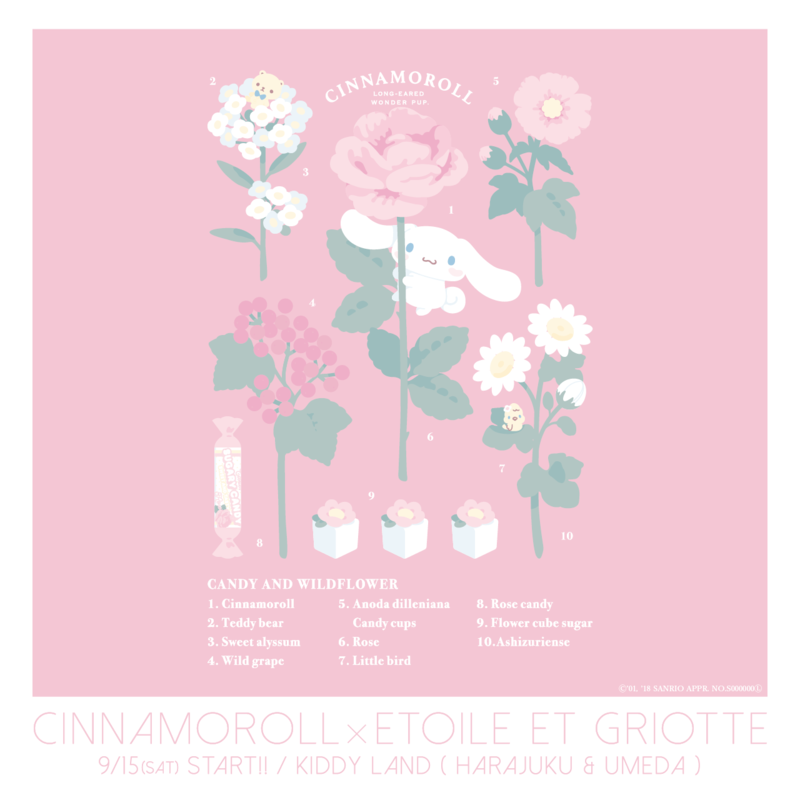 Popular Sanrio character Cinamoroll and apparel shop Etoile et Griotte are set to join hands at the Harajuku and Umeda branches of KIDDY LAND from September 15, 2018. Etoile et Griotte previously teamed up with Sanrio character Pompompurin at KIDDY LAND by opening a collaborative café there in April 2018. Pompompurin was the winner of the 2015 and 2016 Sanrio Character Awards. The romantic designs of the products there won the hearts of kawaii-loving Japanese girls. There were even items that sold out on the same day, proving its popularity. Instead of a café this time around, Etoile et Griotte and Cinamoroll will be holding a fair at the flagship stores of KIDDY LAND in eastern and western Japan decked out with collaborative items. Cinamoroll is a white puppy who was born on March 6, 2002 on top of a cloud in the sky. Sanrio began selling merchandise of the character from 2002. Last year, he celebrated his 15th anniversary. Cinamoroll took the number one spot from Pompompurin at the 2017 Sanrio Character Awards, and again in 2018. 100 Sanrio characters were entered into the awards this year. 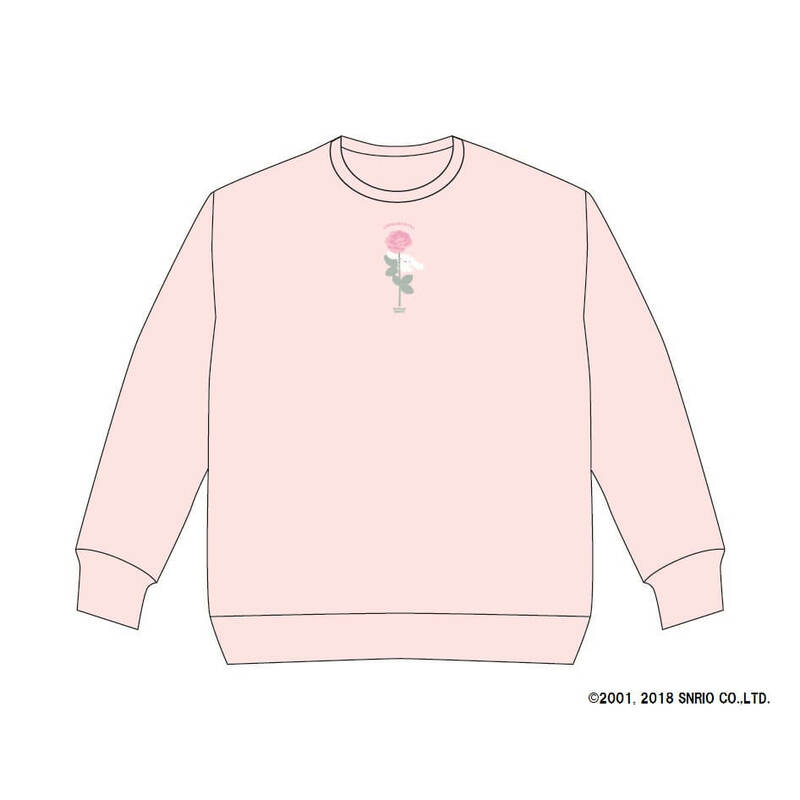 Etoile et Griotte is an up-and-coming brand that sells a range of apparel, stationery and miscellaneous goods, with their concept and tagline being ‘Lovable, Sugary and a little bit of Hate.’ Their cute and girly items are laced with a bit of maturity and receive much support from Japanese women. 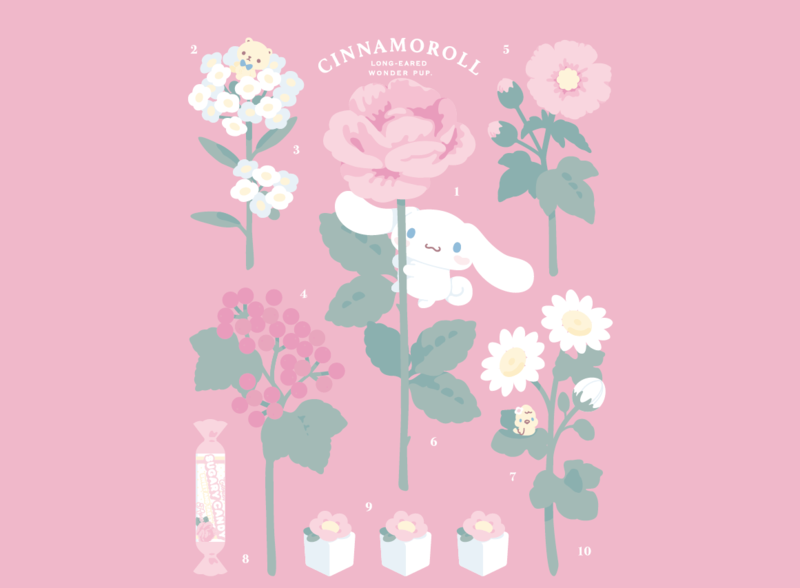 You can look forward to getting your hands on a whole selection of exclusive and limited edition Cinamoroll x Etoile et Griotte items at the fair. There will also be a limited time photo spot at the Harajuku and Umeda branches of KIDDY LAND which you can follow up with online with the hashtag #つれてってシナモン2018. If you post your photo with this hashtag along with #KIDDYLAND, you’ll be entered into the KIDDY LAND Awards for a chance to win prizes. 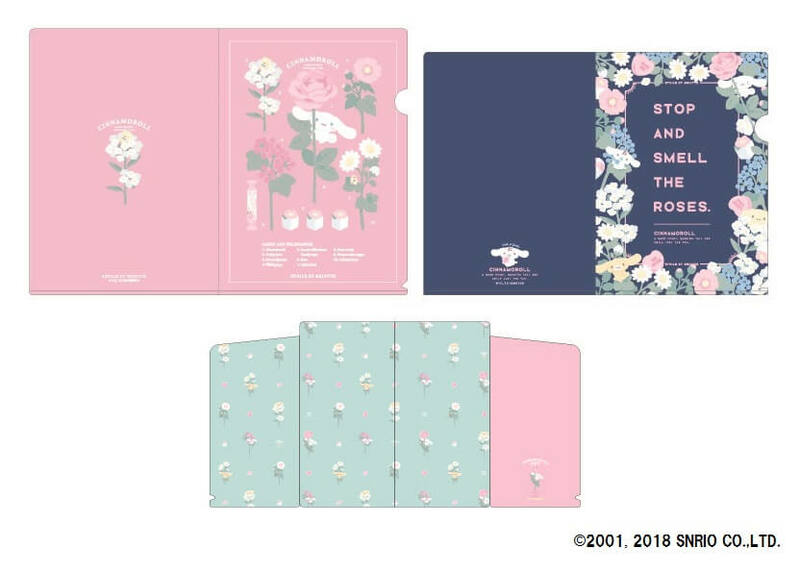 Also, from September 15, if you spend more than ¥2,000 (including tax) on the collaborative merchandise or any Cinamoroll merchandise you’ll receive some special stickers. These will no longer be available after the fair ends, so they’re exclusive! And we can’t forget the themed food menu. To celebrate, if you purchase any collaborative merchandise at KIDDY LAND, you’ll get a discount ticket you can use in the café. And when you buy something at the café, you’ll get a discount ticket to use in KIDDY LAND. Triple collaboration! 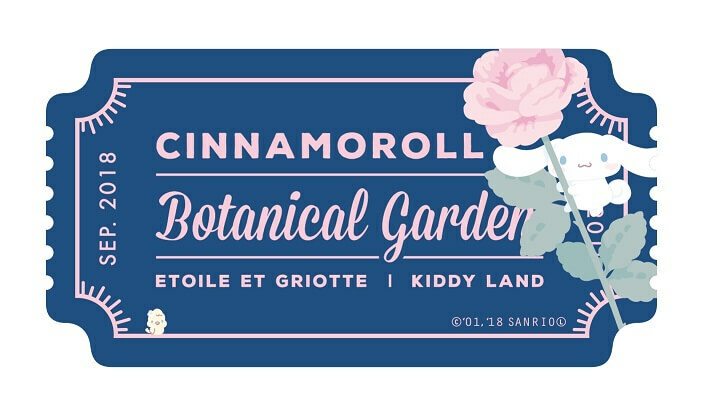 Enter the mature and kawaii world of Cinamoroll x Etoile at KIDDY LAND. 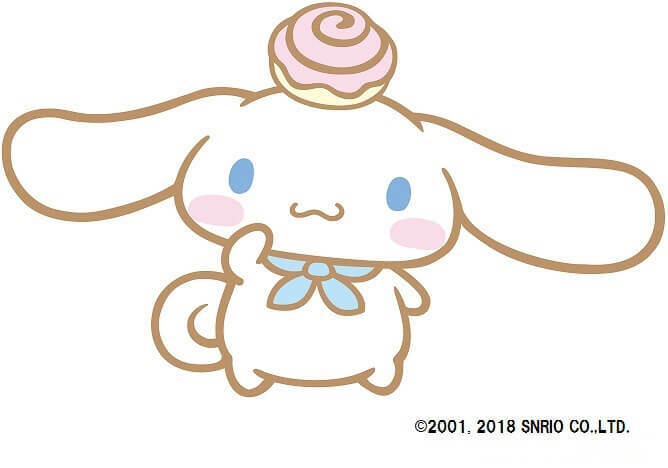 An SNS event commemorating the 15th anniversary of “Cinnamoroll” will be held! Yutaro’s special videos will be uploaded too.